I am a goal-oriented chap. Authonomy is a like crack to an overachiever like me. The site dangles the huge, yummy carrot of making it to the Editor’s Desk in front of hopeful authors. And we claw after it. When the month ends, the top five books on the site make it to the ED, and recieve a review from Harper Collins. That’s it. While a professional review is a good thing, biting into Authonomy’s Holy Grail is not a promise of publication. I read in one of the forums that only four of the past ED books have been picked up by Harper Collins. That striving takes on many forms; forum participation, shameless email pleading, promises of read-swaps, the targeting of both newbies and high-ranking members, etc. My personal efforts have been mainly offering thorough, honest critiques of authors’ first two or three chapters. I enjoy the analysis, and it keeps my editorial eye keen. At this point, after signing up thirteen days ago, I have read more than ninety chapters. Unless the writing is completely indecipherable–or utterly boring–I provide specific feedback on both the contents and mechanics. About 75% of the authors have responded with their own comments on my novel. Comments, feedback, a six-star rating, and placing my book on your Authonomy shelf are all welcome. Authonomy has a ranking system where other authors can back an unpublished book. The higher the novel climbs in the ranking, the more eyes look at it. If it makes it to–and stays in–the Top 5 for a while, it magically gets transported to an Editor’s Desk at Harper Collins. 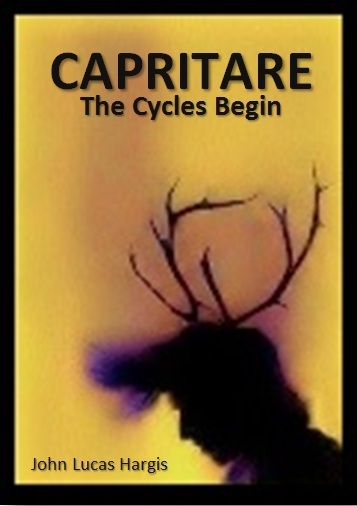 Beginning as a brand-spanking-newbie two days ago, CAPRITARE: The Cycles Begin started at position 5,334. So far, it has inched up 233 notches, and is currently ranked 5,101. Here’s to celebrating small achievements, and working our way to the top!